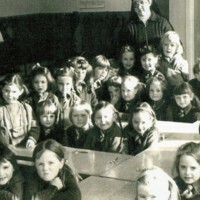 Margaret recounts her earliest childhood memory of going to school for the first time. 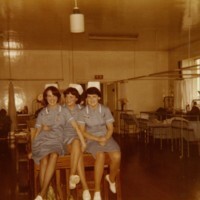 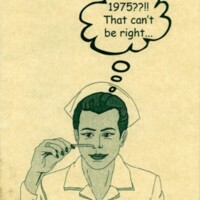 A photo of Ita McClelland with two friends, Patricia Murray and Bridge Kane, during their nurses' training in the skin's ward of the hospital. 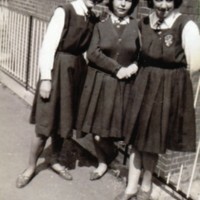 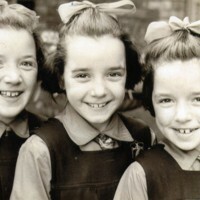 A photo of Mary Dynan with her secondary school friends. 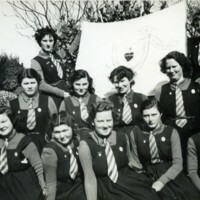 Mary is first on the left of the second row. 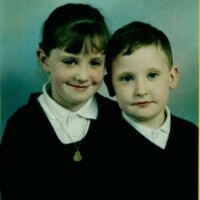 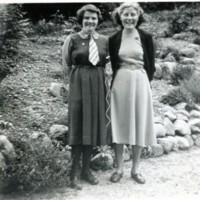 A picture of Mary Dynan in her St. Louis school uniform with her friend.